A Diamond Select Toys release! There ain't no party like a Hulk party, because a Hulk party cannot be stopped! By anyone! Not even Thor! 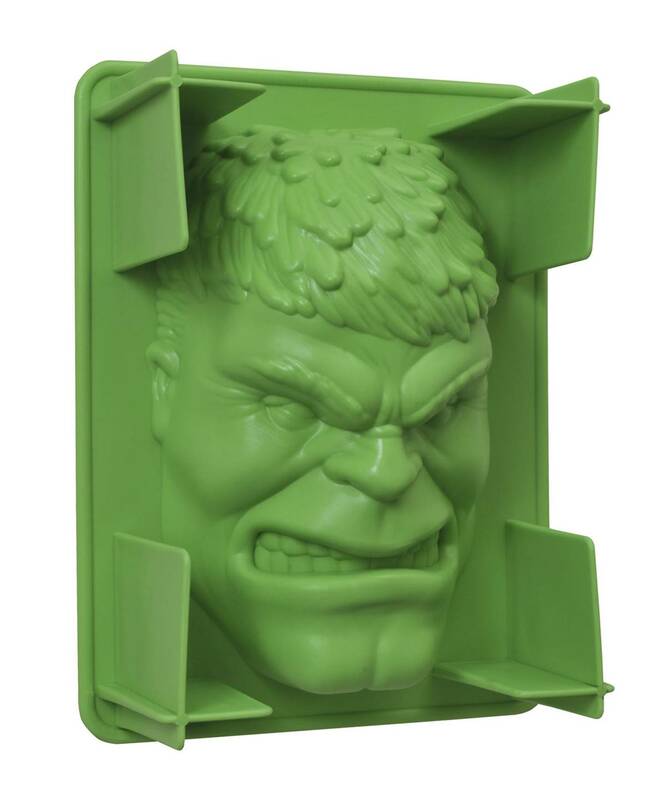 Make your next get-together unstoppable with this plastic gelatin mold in the shape of the gamma-irradiated Avenger's face. Measuring approximately 8 inches tall, this mold works with any color gelatin, not just red and green, and comes packaged in a full-color window box. .